We love video games around here. Whether we’re playing the Xbox 360, the PS3 or even an old Atari 2600. We thought we would take a look at the history of gaming consoles from 1972 to the present. 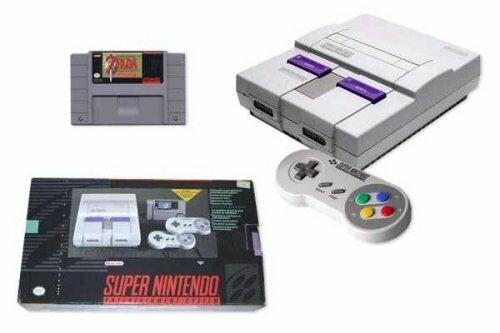 You grew up with the vintage consoles, you play the new ones, so take a walk down memory lane and revisit all your favorites from the massive list below. For the first, we have to go way back to 1972. 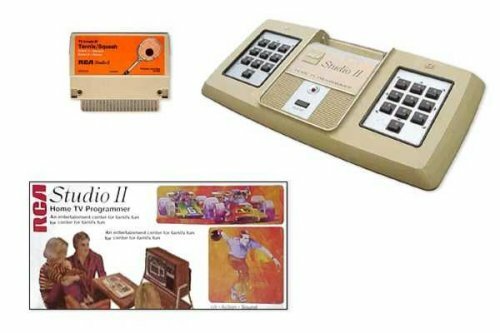 Believe it or not, the Magnavox Odyssey beat the Atari PONG home consoles by three years. It featured crude graphics and crude controller response, but it paved the way for those that followed. The console was powered by batteries. It also had no sound. Next up is Atari’s PONG released in 1975. In 1973 the original PONG arcade machine had some success, so an Atari engineer came up with the concept of a PONG unit for the home. The PONG arcade game was just a motherboard connected to a TV, so the trick was to take it down in size. Also in 1975 we have the Magnavox Odyssey 100. Another analog system, but with four Texas Instruments chips. No cartridges. It only played TENNIS and HOCKEY. A switch decided which game. You marked your score with the two plastic slide-rules. Wow. It could be powered by six batteries, or an AC adaptor. 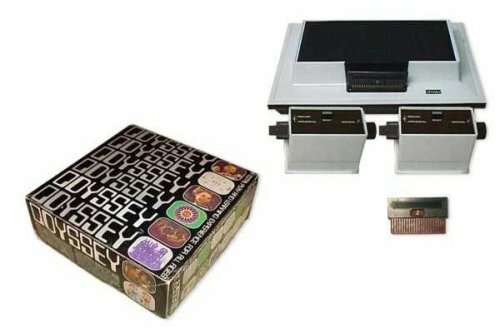 1975 also saw an improved Magnavox Odyssey in the Magnavox Odyssey 200. It was same as it’s predecessor, but added two extra chips from TI. What this amounted to was a third game called SMASH and some on-screen scoring. The 200 could be used with two or four players. This stuff doesn’t sound like much today, but they were big advancements back then. 1976 brought us more than the bicentennial. 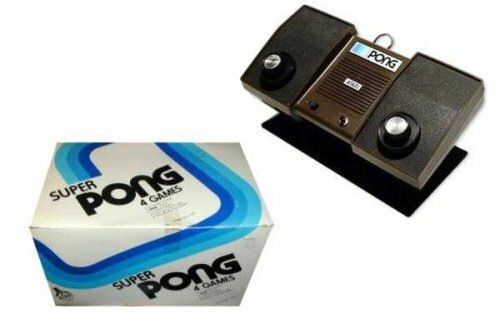 It also brought us Super Pong thanks some great sales of Atari’s PONG console. With Super PONG players had their choice of 4 versions of PONG games. 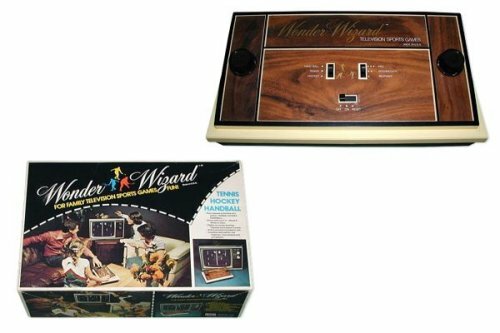 1976 also brought us something called the The Wonder Wizard Model 7702. Basically a Magnavox Odyssey 300(We’ll get to that one) circuit board in a new case. 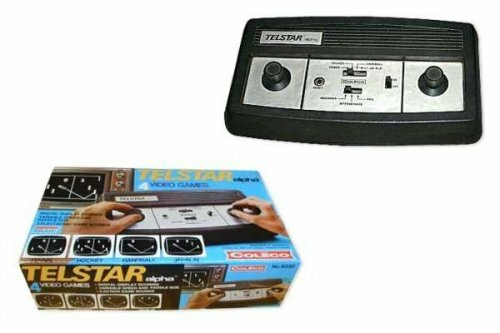 Coleco Telstar is also in the class of 1976. 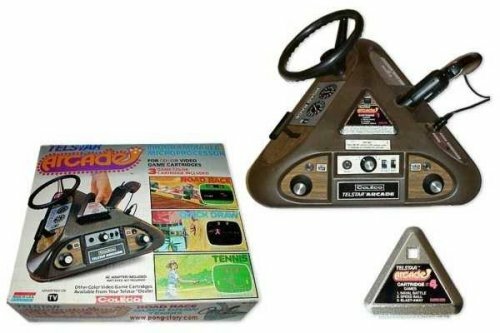 This was Coleco’s first video game system and played three games with three difficulty levels. It was popular. Over a million units were sold. 15 games were released over two years. 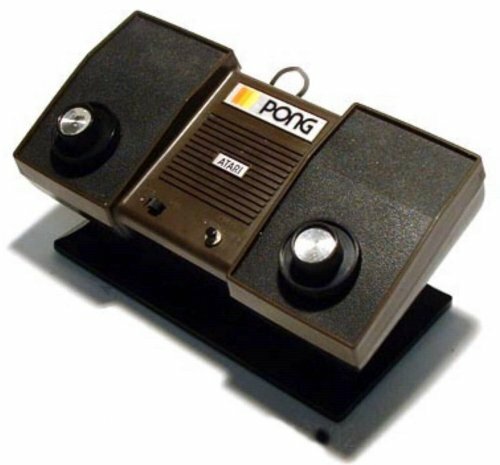 The only real difference between the “pong” systems and this were the number of games, the difficulty levels and the fact that you could play in color or black and white. Again, simple, but big improvements. It’s amazing it did so well as they were sold partially assembled. It was ready to play, but you had to put the knobs and stickers on the case yourself. That probably saved them a lot of dough and back then it was a more acceptable way to package a console. Today a console that came only half assembled would be laughed at. 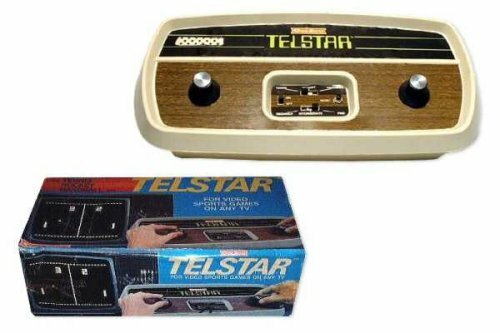 Coleco’s console was so popular they released the Coleco Telstar Classic later that same year. It matched the period station wagons your folks were driving, since all they did was add a wood grain case. Tennis, Hockey, and Handball with 3 skill levels. 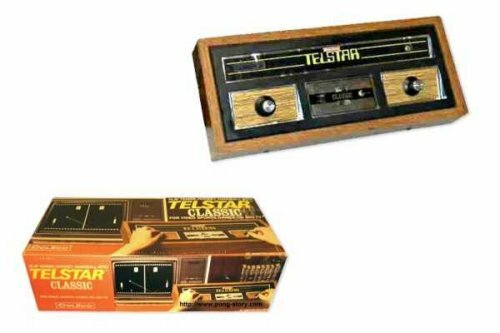 It continued to do so well that in the Christmas season of 1977, nine new designs of the Telstar were available. 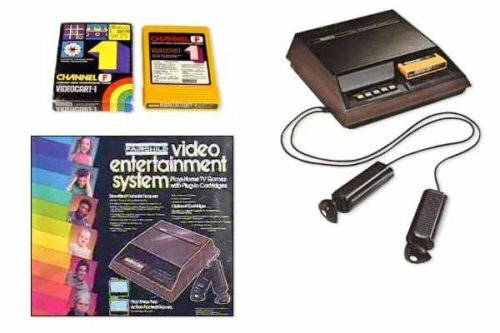 1976 continued to be a pivotal year in video game console history. Enter the Magnavox Odyssey 300. While Atari alone was using their “PONG in a chip”, they weren’t available to other companies, who used several chips, each with specific functions. 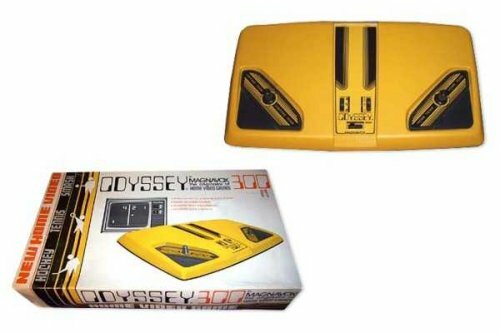 The Odyssey 300 was the first non-Atari system to use a single game chip containing the major circuitry of a PONG system. 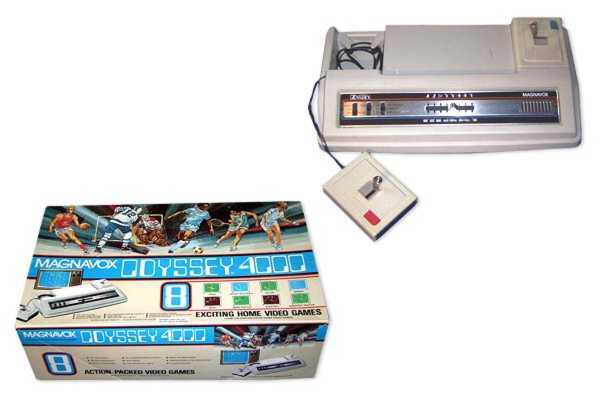 Magnavox just kept chugging along and in 1976 released the Magnavox Odyssey 400. You’d think they would have upped their design by now. 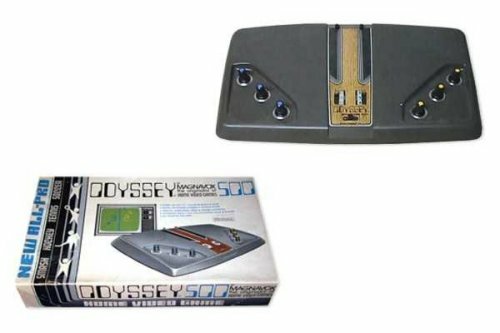 It played the same games that the Odyssey 200 played and was the first analog Odyssey system to display digital on-screen scoring. 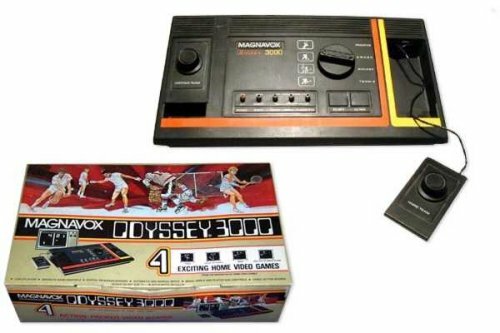 The Magnavox Odyssey 500 also hit in 1976 and was a dramatic improvement. Finally the white bars representing the players were simple color graphics of tennis players with their rackets in the TENNIS game, squash players in SQUASH, and hockey players in HOCKEY. It seemed they had finally gotten it. 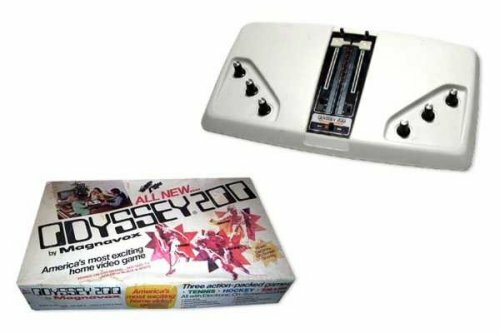 Magnavox would release Odysseys 2000, 3000 and 4000 in 1977. 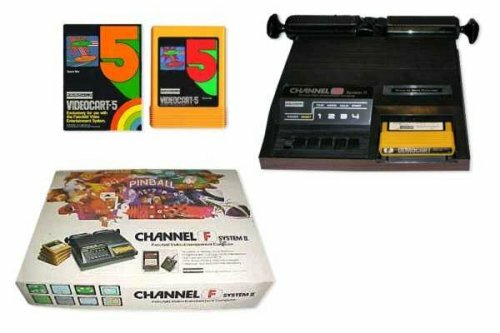 Next up for 1976 is the Fairchild Channel F, looking very much like an 8-track cassette deck. The Channel F was the first console that was programmable, with cartridges containing ROM and microprocessor code. Yeah, it was pretty boring, but had some interesting features that would be copied by others. The system had 26 cartridges available, with up to four games on each cartridge. The usual, sports, educational, Math Quiz, Checkers and such. It didn’t help the Channel F any when Atari released the VCS in 1977, which had better graphics and games. RCA needed a break from bulky televisions and stereo decks, so they got into the action in 1976 as well. The RCA Studio II came months after the Fairchild Channel F, otherwise it would have been the first programmable console. It wasn’t a very exciting excursion into the land of video games. No color and the controls were already way behind. It released 8 games before also bowing to the almighty Atari 2600. In 1977 Atari Video Pinball made it as a home console, letting people play Breakout at home. 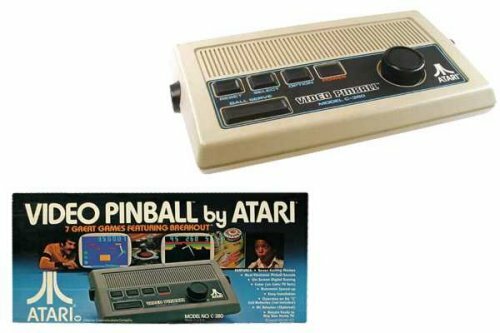 The first version featured a wood grain finish like the Atari 2600, but later became plain white plastic. You could use the bumper controllers on the sides or a dial on the front to control the games. Pinball, Basketball, and Breakout. 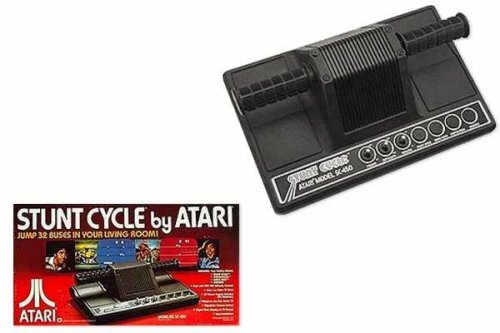 That same year Atari brought Atari Stunt Cycle into the home. Stunt Cycle was riding on the popularity of Evel Knievel. It was supposed to make you feel like you were riding the cycle as you jumped over cars and buses. Atari was on it’s way. 1977 also saw the release of the Atari VCS 2600. Video games would never be the same. It was the first successful video game console to use cartridges instead of having games built in. VCS stands for Video Computer System. The original price was $199 with a library of 9 titles. It’s the console that we all know and love. 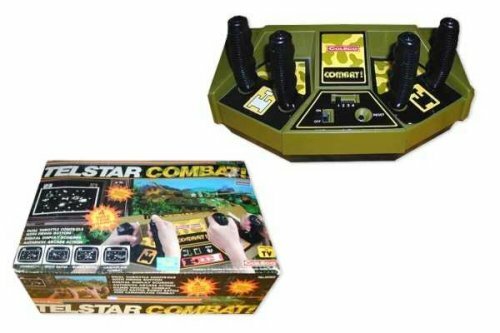 Not that it could compete with the Atari 2600, the Coleco Telstar Combat arrived in the same year. The console plays four versions of tank battle games. Oh look. More Pong. Coleco didn’t get the memo that by 1977 Pong was on it’s way out. The Coleco Telstar Alpha system plays 4 games in three difficulty levels. They had earlier success with Pong, but the Atari 2600 had arrived. Enough said. Magnavox was still hanging on in 1977 with the Odyssey 2000. It’s another Pong console. The most advanced one yet, but still a Pong console. And still looking very much like the others. 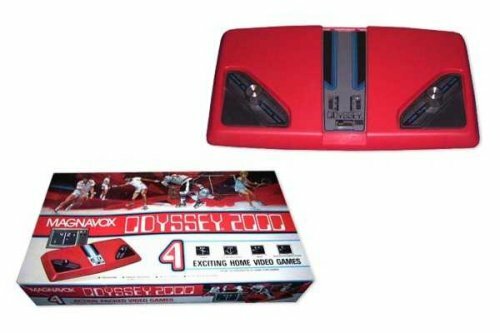 That same year, doing their best to out-Pong everyone, Magnavox releases the Odyssey 3000. The look is finally changed and this time it features detachable controllers. 1977 marked an end to Magnavox’s love of Pong. 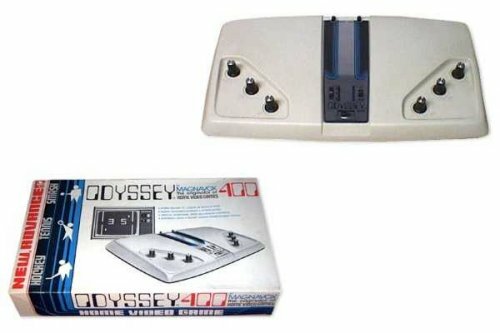 The Magnavox Odyssey 4000 was the last Pong console from the company. 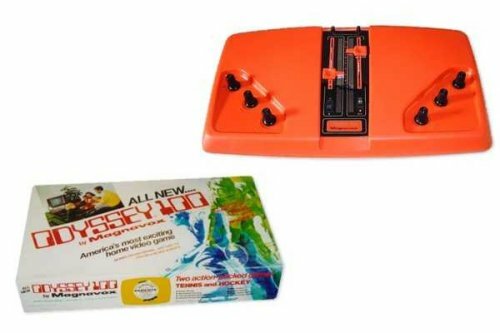 This one featured 8 games in full color, with real joysticks. 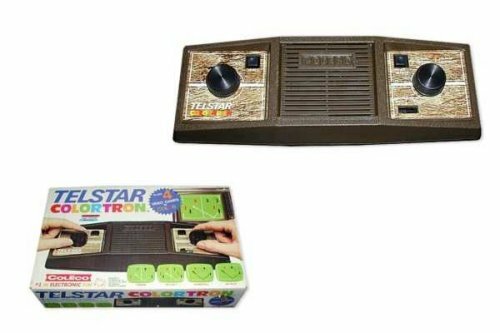 In 1978 Coleco debuted the Coleco Telstar Colortron. You only got 4 games, but the picture is in color. But the really odd thing is that the system requires two 9V batteries: one for the games and one for the sound. That same year Coleco threw the Coleco Telstar Arcade into the mix just to see if it would stick. 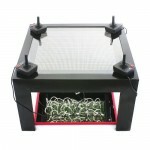 It featured a triangular case and could play three kinds of games, each on one side of the case. The first side was for PONG games like Tennis, while the second side was for shooting games. The third side was for car racing games. The cartridges were also bizarre, silver triangular things that went on the top of the console. Coleco only released four cartridges. 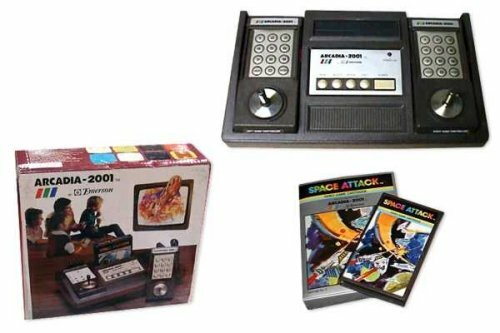 I dubb thee the gaming console of the 70′s Battlestar Galactica universe. Next we have the Bally Professional Arcade, with a look that matches the era. It was arcade game maker Bally’s only entry in the home console market. Many people don’t know about this one but it enjoyed some limited success. 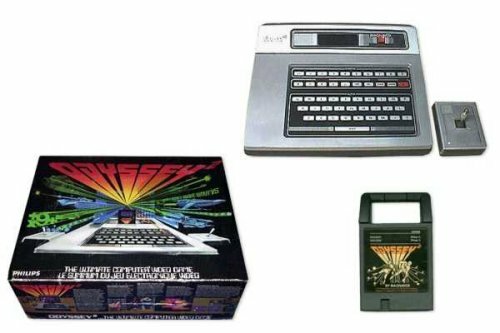 Magnavox Odyssey 2 is another from 1978. It was basically a computer that used BASIC. 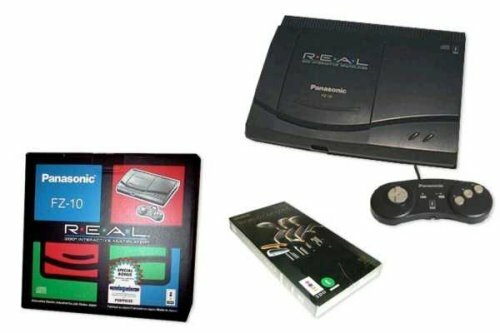 It came with two controllers, RF switch with TV box, power supply, and the game cartridges Speedway, Spinout and Cryptologic. The joystick design would become the standard for those that followed in the 70s and 80s. Next up is the Coleco Telstar Gemini. It looked a lot like the typical Pong system, but it didn’t play pong games. You could play 2 shooting games and 4 pinball games thanks to 2 flipper buttons on the console. 1979 ushered in a console whose name sounds like it came from outer space. The Zircon Channel F System II. The Zircon company bought the rights to the Channel F. They released Fairchild’s scaled-down version as the $99 Channel F System II. The System II played sounds through the TV, instead of an internal speaker. This version also had removable controllers. 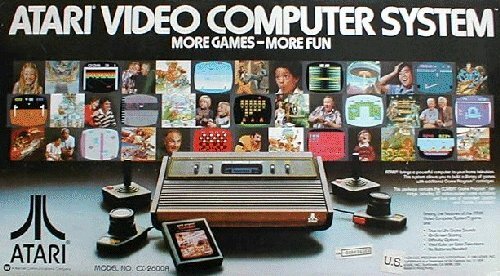 Also in 1979 came the Atari 400. It was designed primarily as a computer for kids, which explains the pressure-sensitive, wipe-clean keyboard. The Atari 400 boots-up into “Notepad”, the only built-in program. Other programs had to run from cassette or cartridge. 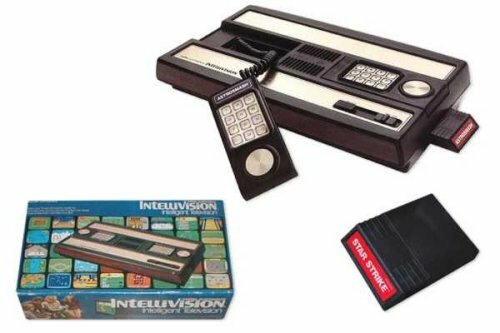 1980 brought the Mattel Intellivision. My friends all had it, but I always felt the Atari 2600 was superior and that the controllers sucked. It arrived with twelve games, along with better graphics and sound than its competitors, and they promised to release a compatible keyboard that would turn the system into a computer. It did well at first. Months and then years passed without the keyboard being released. So in 1982, Mattel scrapped plans for it, but later due to government pressure, they had to make a computer add-on anyway. 1982 brought something a bit different with Vectrex. Vectrex was an 8-bit video game console developed by General Consumer Electric. 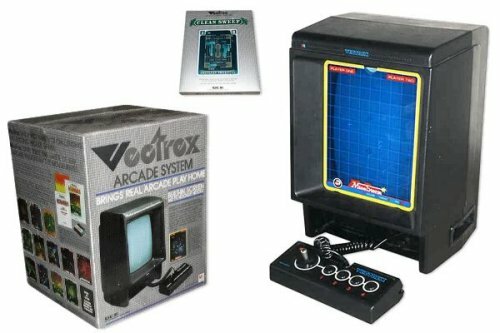 What made Vectrex different was that it used vector graphics drawn on a monitor integrated with the console. It retailed for $199. The Atari 5200 also arrived in 1982. It was created to compete with the Intellivision, but also competed with Colecovision. The first release featured four controller ports. The system also featured a revolutionary new controller with an analog joystick, numeric keypad, two fire buttons on both sides and game function keys for Start, Pause, and Reset. In 1982 Emerson jumped into the gaming world with the Arcadia 2001. The controllers are similar to the Intellivison and Colecovision, with a numeric keypad, joystick, and two side buttons. It didn’t get much attention and with the release of the Colecovision, it’s fate was sealed. 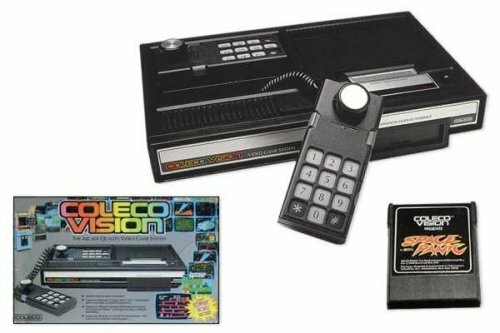 Colecovision was Coleco’s third gen console, released in 1982. It offered 12 initial titles, with 10 more on the way. About 170 titles were released in all. The majority of titles were arcade games. 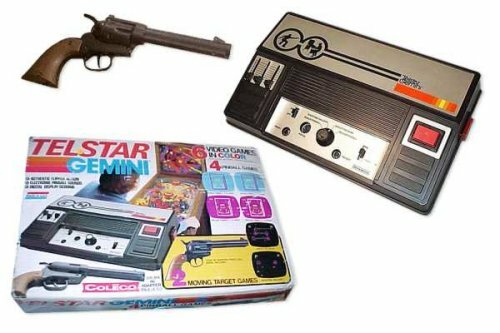 Another from 1982 was the Coleco Gemini. 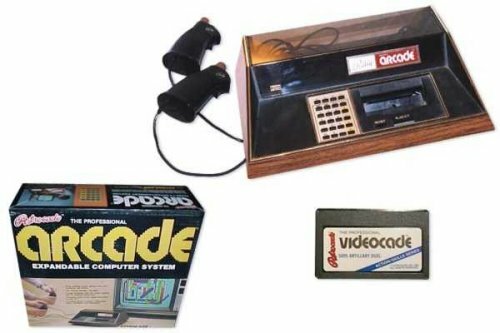 Coleco released Expansion Module #1 for its Colecovision video game system using off-the-shelf components. 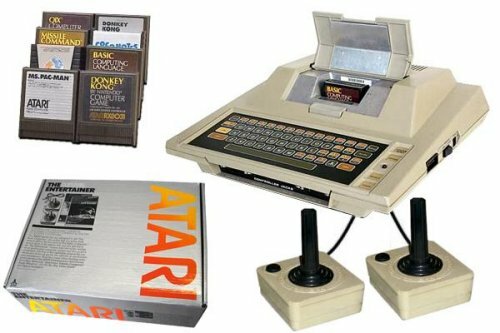 Atari sued Coleco, but a court ruled that since Coleco used off-the-shelf components, Expansion Module #1 did not infringe on Atari’s patents for the 2600. 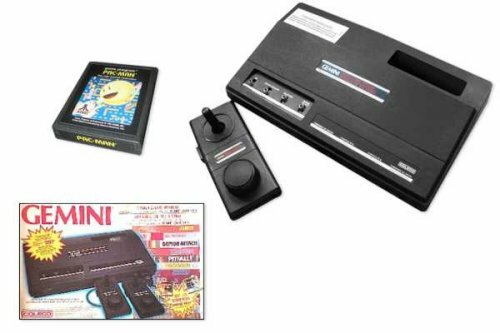 So with this ruling, Coleco decided to make an Atari 2600 clone: the Gemini. 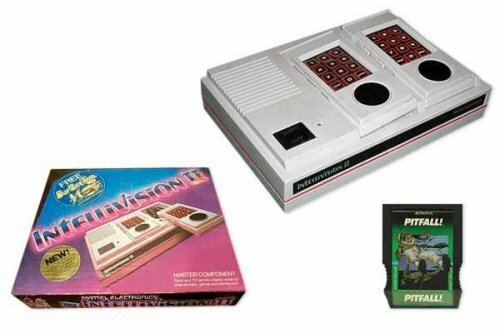 The Mattel Intellivision II came out that same year for $99.99 and showed a few improvements. To cut costs Mattel featured 16 position removable joysticks on their ‘new’ system. The system caused problems when running certain Coleco brand games such as Donkey Kong, Mouse Trap, and Carnival. 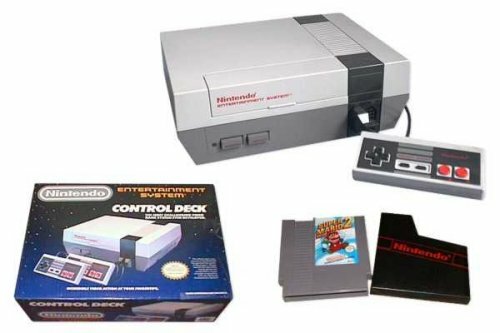 In 1985 a new era of video games was about to be unleashed on the world with the NES system. Released in Japan in 1983, the Nintendo Family Computer (Famicom) started slow, due to a ton of programming errors and freezing in its first year. A product recall soon followed and then a reissue with a new motherboard. That was when the Famicom’s popularity soared to the best-selling game console in Japan by 1984. North America came next. In 1985, Nintendo unveiled the American version at CES. It was just as popular in America as the Famicom was in Japan. 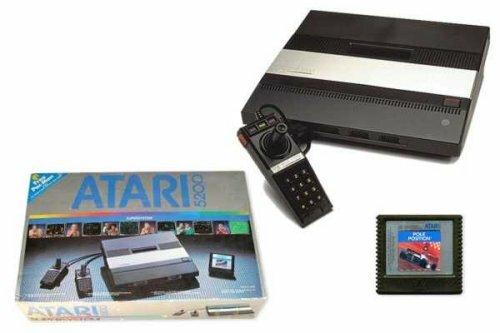 Not that they had any chance of competing with the NES, in 1986 the Atari 2600 was re-released as the 2600 Junior. It retailed for $49.99 and came with a controller, RF switch and power cord but no bundled cartridge. They were made to match the 5200 and 7800. 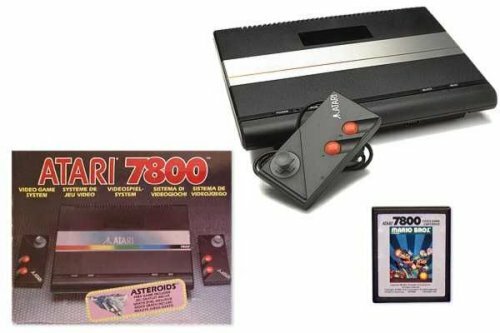 The Atari 7800 was Atari’s chance at redemption in 1986. It featured an all new graphics chip called MARIA with almost 100 independent sprites, a better color palette on screen, and other powerful features. 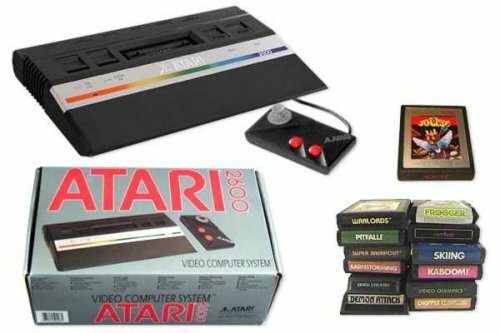 The new console could also play all of the original Atari 2600 games as well. 1986 was a busy year in video games. It was also the year of the Sega Master System. 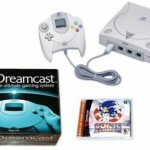 Sega wanted its share of the American console dollar. 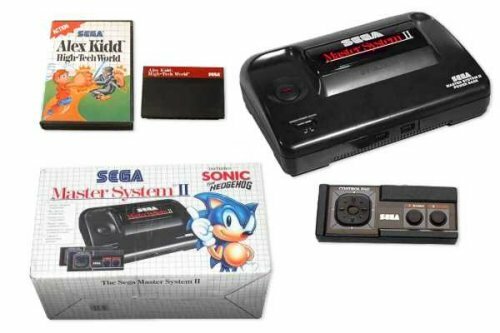 So they redesigned the Mark III(Already in Japan) and renamed it the Sega Master System in 1986. Tech-wise, it was superior to the NES, boasting better graphics and better sound. The original SMS played cartridges and credit card-sized “Sega Cards,” which were cheaper. The SMS also had 3D glasses. Problem was there weren’t many games. In 1989 NEC introduced the Turbo Grafx 16. This one requires some backstory. In Japan, NEC had entered the video game market with their PCE system. The PCE had a 16-bit graphics chip that displayed up to 256 colors on screen at once, in several resolutions. The CPU wasn’t much more powerful than the NES, but the graphics chip and sound beat the Famicom hands down. The system used a slim card format for the software. 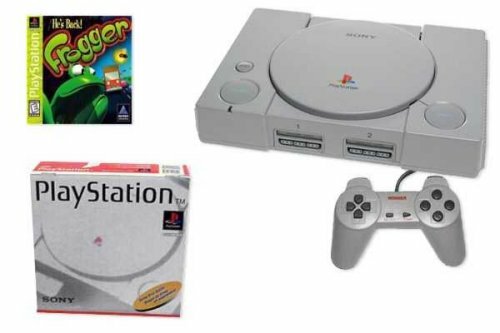 It was also the first console that had a CD-ROM drive, which allowed for full rich soundtracks and full motion video. The PCE(PC Engine) was very popular in Japan. Two years later, in 1989, NEC wanted to bring the PC Engine to North America. And that’s the story. 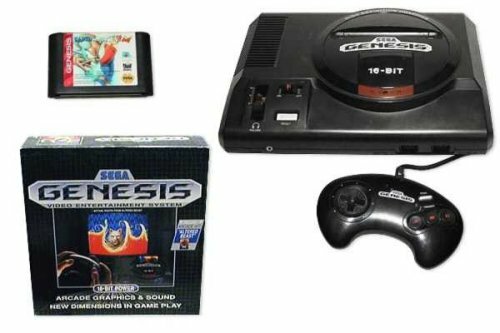 The Sega Genesis arrived that same year. Nintendo’s NES was the big boy in the video game market for almost five years. Sega knew that their next system would have to be superior to everything. An aggressive marketing campaign to customers won a lot of people over. 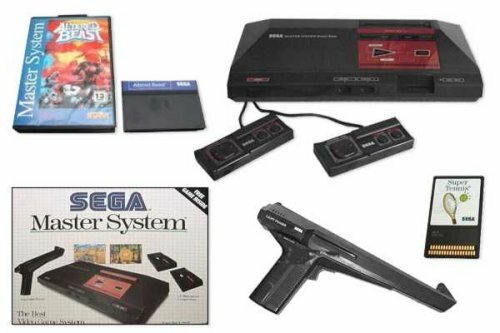 1990 saw the release of the Sega Master System II. Sega was having success with the Sega Genesis so they designed the Sega Master System II to keep the ball rolling. The system went nowhere. That was also the year we met the SNK NEO-GEO (AES). 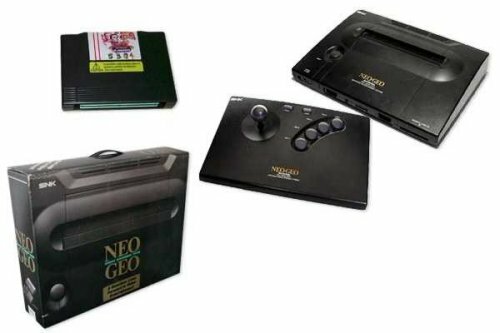 The Neo Geo AES (Advanced Entertainment System) played the exact same games as the ones in the arcade. It even had memory cards that could be switched between the two to save your progress. 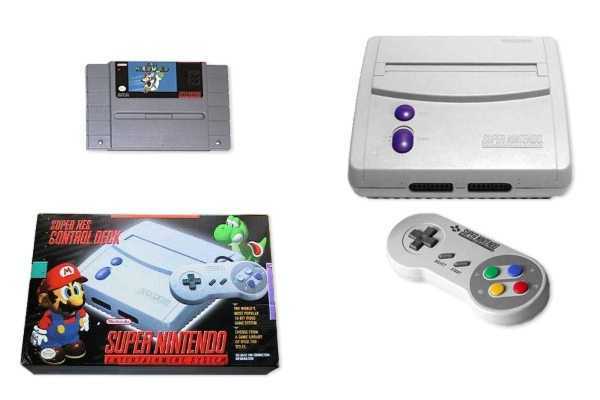 1991 saw the introduction of the Super Nintendo Entertainment System or SNES. 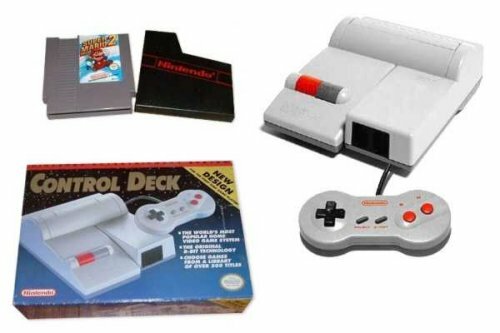 It was Nintendo’s second home console, following the NES. The SNES became the best selling console of the 16-bit era but only after Sega had pulled out of the 16-bit market to focus on its 32-bit next gen console. The NEC TurboDuo debuted in 1992. 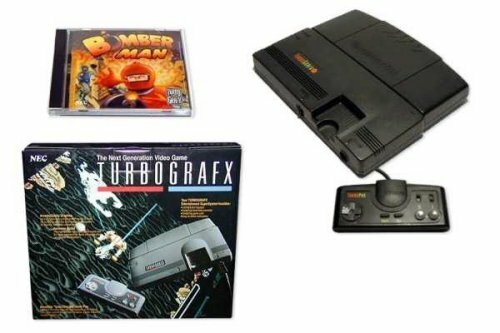 The system combined the TurboGrafx-16 and an enhanced version of the CD-ROM drive into one unit. The system could play audio CDs, CD+Gs, CD-ROM2 and Super CD games as well as HuCards. 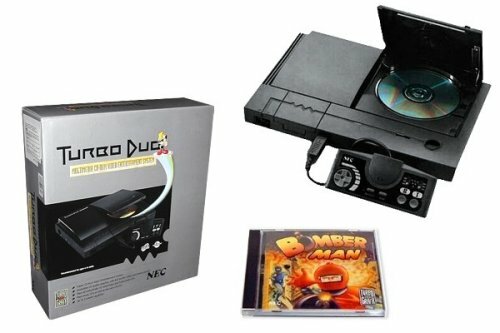 The original unit for the Turbo Duo included the system, a control pad, an AC adapter, RCA cables, Ys book I & II a CD-ROM2 title, a Super CD disc including Bonk’s Adventure, Bonk’s Revenge, Gates of Thunder and a secret version of Bomberman. 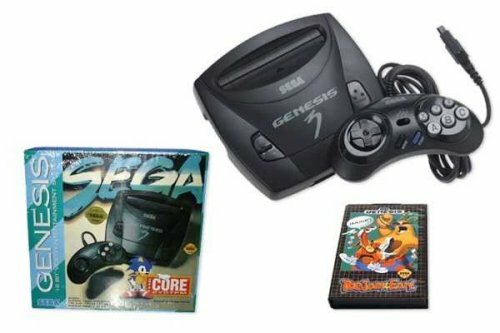 Then came the Sega CD for Genesis, first announced at the Chicago CES in November 1992. 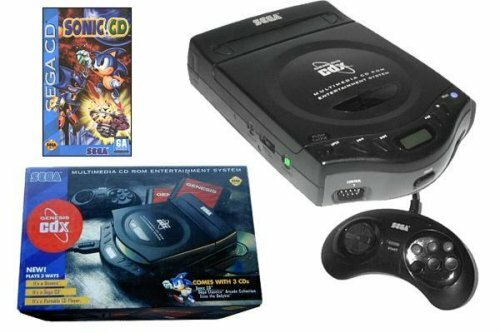 Sadly, the Sega CD failed to convince gamers to buy it, mostly due to the cost. It was a single speed CD drive which made load times slow. Panasonic 3DO Interactive hit the shelves in 1993. Many big companies got licenses to make 3DO systems. Companies like Goldstar, Sanyo, Samsung, AT&T, etc. They thought it would be the next big thing in home entertainment. The unit was released in 1993 for $700. That same year the Atari Jaguar debuted. 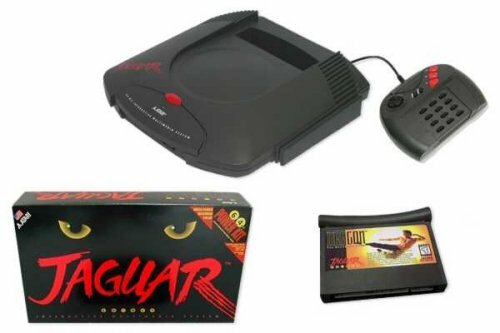 The Jaguar was technically superior to the leading 16-bit consoles. Only a small number of games were developed for the system. 1993 also saw a new NES on the market. The Nintendo Entertainment System (NES) Model 2. This newer model was almost half the size of the original. The case was sleeker etc. It sold for $45. 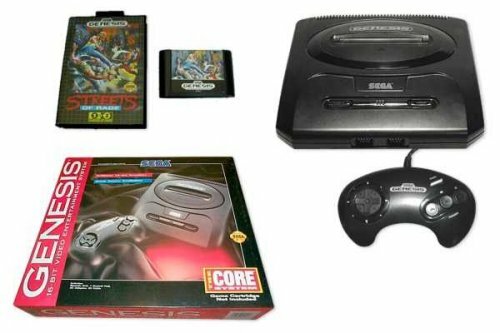 The Sega Genesis 2 arrived in 1994 and was almost the same as the Sega Genesis. What you got was an AC adapter, RF switch, controller, and the Sonic the Hedgehog 2 game. Not long after, the Sega CD for Genesis 2 arrived. The Sega Mega-CD is an add-on device for the Sega Mega Drive released in Europe, Australia, and Japan. The US version is known as the Sega CD. It was considered a failure in the United States because of its high price. 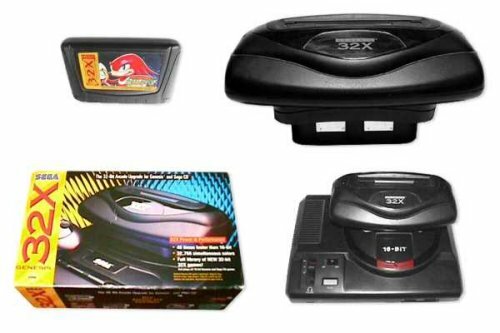 Sega Genesis 32x hit the market in North America in November 1994. The Sega 32X can only be used with a Sega Mega Drive/Sega Genesis system, plugged into the cartridge bay. It played its own cartridges and acted as a passthrough for Genesis games. Over a million were ordered, but not enough were produced, leading to shortage problems. 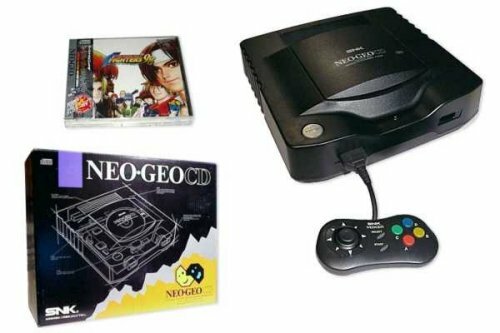 The SNK NEO-GEO CD is essentially the same hardware as the AES but with a CD drive replacing the cartridge slot. CD’s are cheaper. Again, the CD drive is single speed so load times sucked. 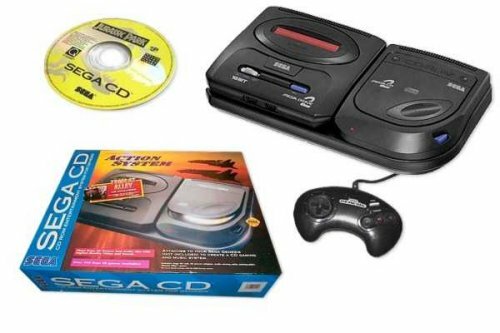 The Sega CDX was a 16-bit console released in 1994 for $399. 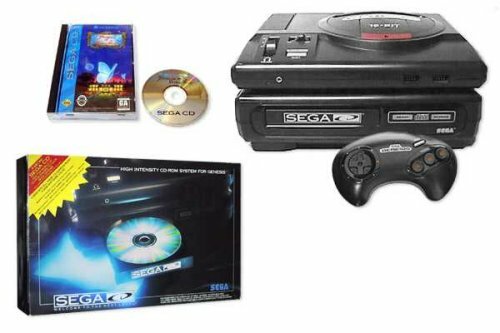 It combines the Sega Mega Drive and the Sega Mega-CD into a single unit. Overpriced as usual it had very few good quality Mega-CD games. 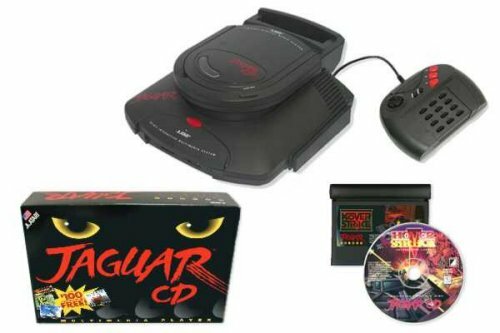 In 1995 Atari came out with the Jaguar CD. It sat on top of the Jaguar console. The drive had its own cartridge slot to allow cartridge games to be played without removing the CD drive. Two games came with the drive. Blue Lightning and Vid Grid, a music CD, and a Myst demo disc. It was the year that the Sony PlayStation hit. It actually came about because Nintendo wanted Sony to develop a CD-ROM add-on called “PlayStation” for the SNES. Sony wanted 25% of all profits Nintendo earned from sales and all PlayStation games. So Nintendo instead went to Philips. Sony simply made it into a full console. Sony had a successful launch and the rest is history. 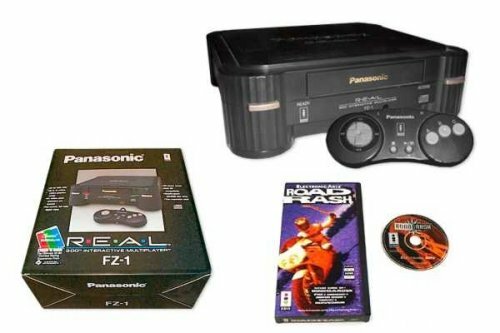 The Panasonic 3DO FZ-10 had some innovative features. The CD-based system gave developers tons of space to store games and programs. There was only one controller port. The controllers needed to be daisy-chained together. The original controllers even have a built-in stereo headphone jack and volume control. It also sports internal memory and 2 expansion ports. It had a bunch of accessories. Everything from game pads, to steering wheels and flight sticks. The Sega Saturn also arrived in 1995, four months ahead of schedule. It was announced at that year’s E3. The move resulted in low sales a launch due to the $399 price of the system and the lack of available software. 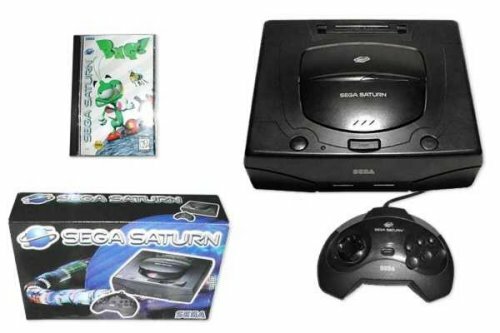 Sega chose to ship Saturn units only to four retailers as well. Next up is the Nintendo 64. Its code name was Project Reality. 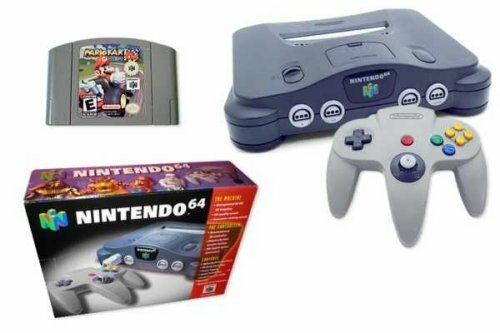 The name changed to Nintendo Ultra 64, then just Nintendo 64. 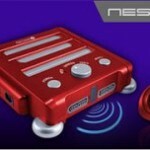 The SNES Model 2 was next. A redesigned SNES 2 in North America for $99. It was designed to be slimmer and lighter and lacked S-Video and RGB output. The Genesis 3 retailed for $29.99 and came with one controller, AV cables, and a power cord. The system was small, about the size of two controllers. No expansion port, so it could not use Sega CD 1 or 2. 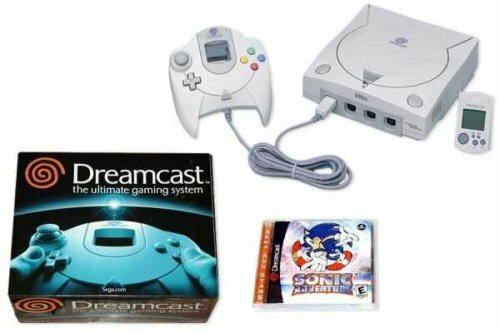 1999 brought the Sega Dreamcast. The first console with a built-in modem and Internet support for on-line gaming. It had good sales in its first year. So good that Sega was unable to fulfill all of the advance orders. The Sony PlayStation PS1 arrived in 2000. The first new version was produced in response to complaints that PlayStations were overheating. Sony kept the specs the same, but removed the S-video port left over from the Japanese release. 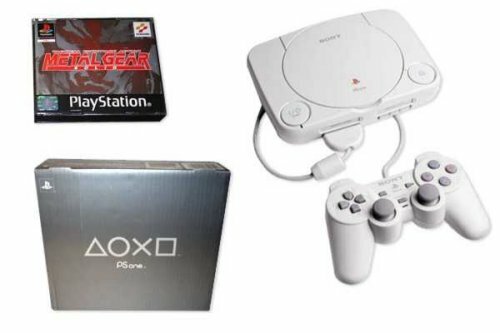 Sony produced a redesigned version of the original console, called the “PSone”, in a smaller case. The PlayStation 2 had a tough time at first. Only a few million users had actually scored one by the end of 2000, due to manufacturing problems. The launch titles for the PS2 were lackluster, but that would soon change. 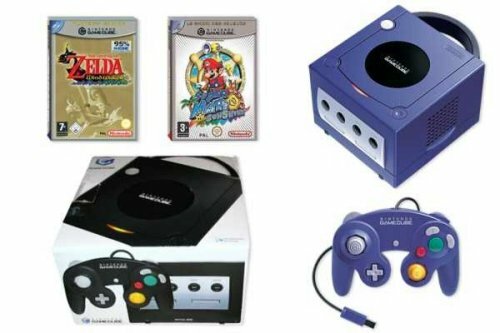 The Nintendo Game Cube was unveiled during Spaceworld 2000, looking just as the name suggests, like a cube. It has a unique CD in the GameCube Optical Disc, which are 3 1/8 inches in diameter. 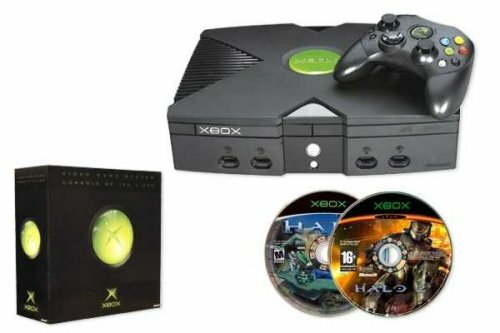 The Xbox was Microsoft’s first independent venture into the video game console arena. Some titles at launch were Amped, Dead or Alive 3, Halo: Combat Evolved and Project Gotham Racing. In November 2002 Microsoft introduced the Xbox Live on-line gaming service. 250,000 subscribers had signed on in just 2 months when Live was launched. 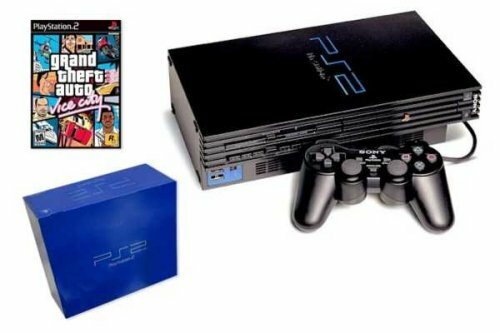 The Sony PlayStation 2 (SCPH-70000) was released in 2004 just in time for the launch of Grand Theft Auto: San Andreas. A new, smaller PS2. 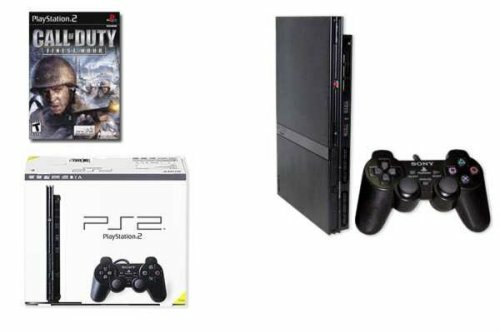 Sony stopped making the older PS2 model in the summer of 2004. 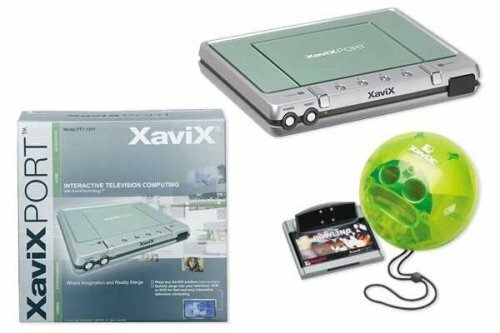 XaviXPORT was released in 2004 at the Consumer Electronics Show. The console uses peripherals to interact with games through image recognition and infrared sensors that detect player movements. 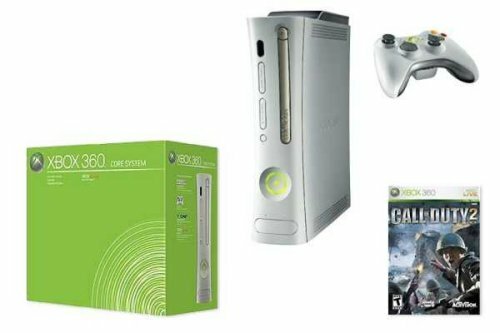 The Xbox 360 is Microsoft’s latest video game console that we all know and love. I won’t go into detail. Awesome and powerful console. 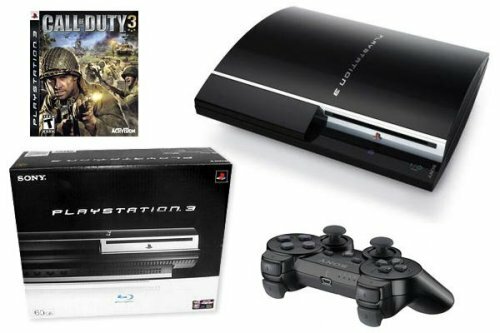 The PlayStation 3 was released in 2006. At that time were showing up on eBay for more than $2300. Another great and powerful console. Lately they haven’t been selling well for Sony, but who knows what the future holds. The Nintendo Wii was also released in 2006. It was codenamed the “Revolution” then later renamed Wii. 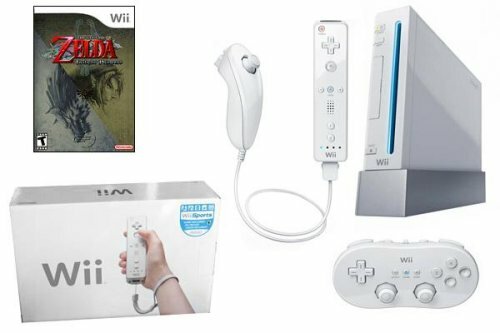 The Wii Remote is has been revolutionizing game play with accelerometers and infrared detection to sense its position in 3D space. It’s a huge hit for the big N.